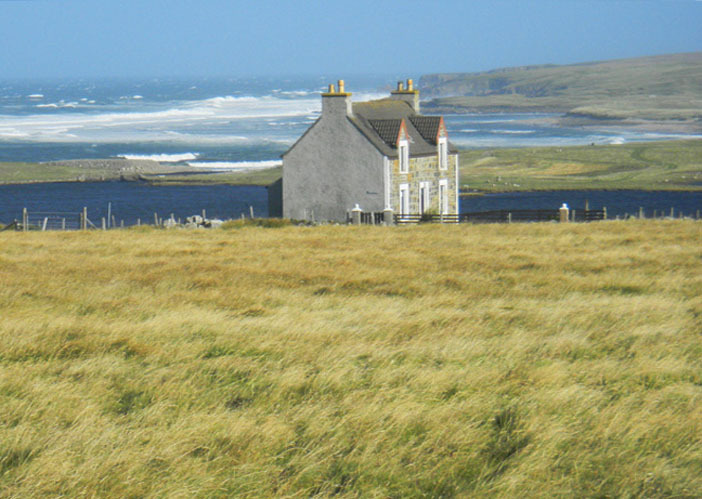 Overlooking the Atlantic coast of the Isle of Lewis, Sealladh na Mara (Ocean View) is a traditional croft house that has been extensively renovated to offer comfortable accommodation for up to 4 guests. The house features exposed stone walls and an open hearth (peat supplied), as well as central heating, new appliances, and two bathrooms. Loch Mor Bharabhais, with excellent salmon and trout fishing, is at the bottom of the croft field behind the house. The Atlantic shore is an eight-minute walk down the road, and in most weathers Sealladh na Mara is within sound of the surf. A waymarked path extends along the coast, offering scenery, beachcombing and bird watching. The local region is noted for fishing, birdwatching on shore and moorland, archaeological monuments and historical attractions.